Finally! 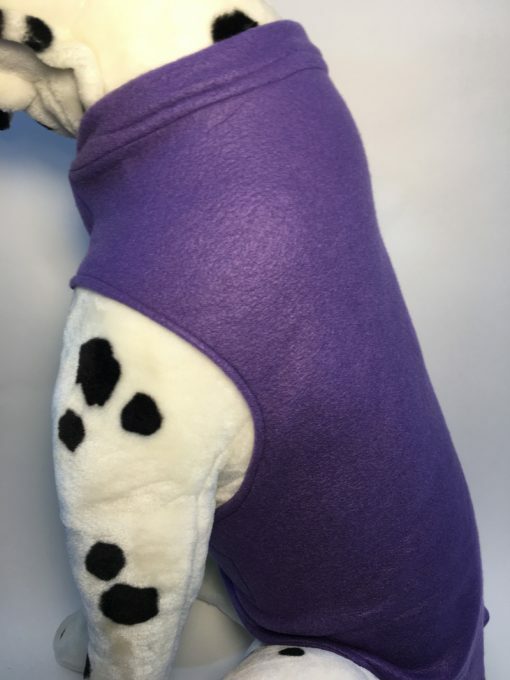 A dog coat that is easy to put on! Just slip over the head and fasten under the belly. Durable. Washable. A definite must have. The Large size is for dogs that measure 20 to 22 inches from the back of the neck to the base of the tail. 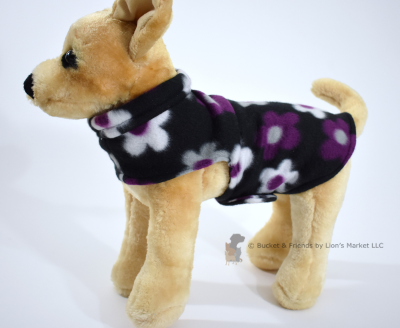 Fleece Dog Coat – Size Large. 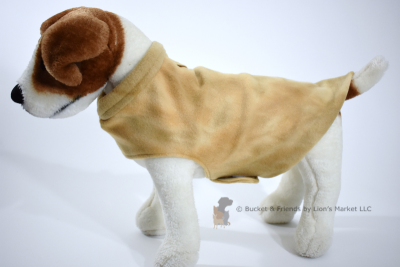 This fleece dog coat will be sure to keep your canine companion warm! 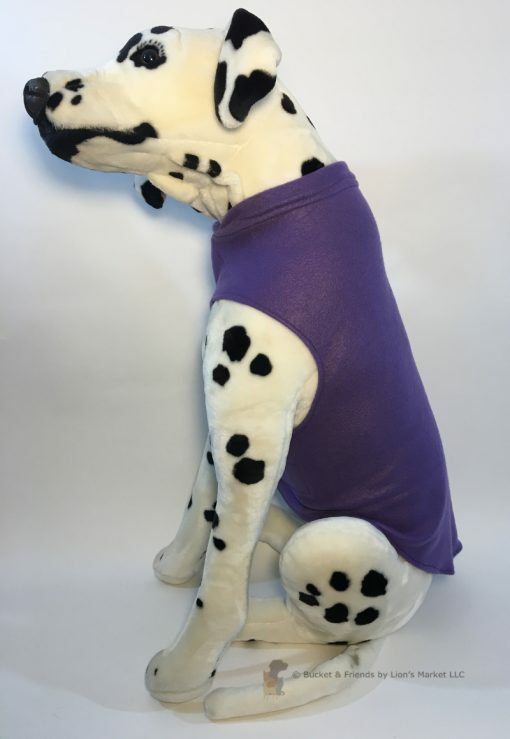 The Large size is for dogs that measure 20 to 22 inches from the back of the neck to the base of the tail. 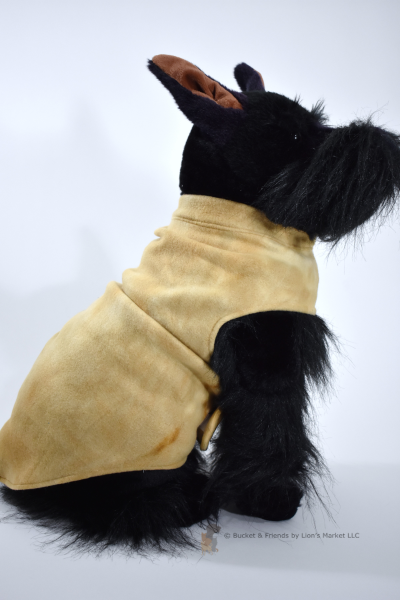 This coat slips over the dogs head and fastens under the belly with an adjustable hook/loop closure. There is a buttonhole at the rear of the neck that makes it easy to use with a leash or harness. Pictures depict style and color/pattern. Please follow measurement guide to determine the correct size. Please note that color may very depending on your monitor’s resolution. Your computer monitor may display the colors a little differently than the actual color. Machine wash in cold water on gentle cycle. Hook/loop closure should be fastened while washing and drying. Line dry or tumble dry low. Always round up to the next larger size if your measurements meet or exceed the maximum measurement (or range of measurements) in the smaller size. PLEASE round up to the next larger size if your pet has a thick coat, broad chest, or wide underside. When in doubt order the larger size.